The name is confusing, because there was VelaShape I and II before, and neither device was great because they both required multiple treatments, as well as frequent follow-up treatments to maintain results. We try to explain to our patients that the latest VelaShape III is NOTHING like Vela I or II, so they cannot compare the new machine to the old. However, the names and numbers do make it confusing for the consumer to know exactly which device is being used, so we’d like to try and explain why we are so intrigued and happy with the new VelaShape III. Overall, VelaShape III is now one of the most advanced technology that is FDA-cleared for reduction of cellulite and circumferential fat-reduction. The only thing is that results are not yet permanent, however you may achieve long-lasting results with a follow-up treatment twice annually to maintain very acceptable results! VelaShape III technology combines infrared light, bipolar radiofrequency energy and vacuum, which causes deep heating of the fat cells, their surrounding connective tissue and the underlying dermal collagen fibers. This promotes the stimulation of the growth of new collagen and elastin, which can result in a localized reduction in skin laxity, body volume, and an overall improvement in skin structure and texture. VelashapeIII does work and is the only non-invasive machine to combine four different technologies including IR(infrared), Bi-Polar RF(radio-frequency)and mechanical tissue manipulation using a pulsed vacuum and massage rollers. The combination of the IR and vacuum coupled RF technologies causes deep heating of connective tissue, which in return stimulates collagen. With the series of 5-6 treatments, one week apart we have seen significant improvement in cellulite and skin elasticity. It should be remembered that it is not possible to remove cellulite permanently, to maintain the results, follow up treatments is required. Carboxytherapy is a new, simple and proven anti-aging treatment, that dramatically reduces the appearance of cellulite by improving local tissue metabolism and perfusion. 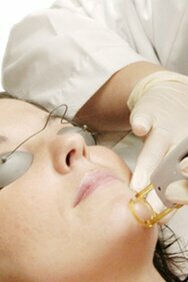 Treatments are fast, comfortable and effective for a high percentage of patients.